In the last weeks there was a rumor regarding a possible breakdown between Lancia and Chrysler brand. The information was based on the fact that there are no new coming products for Lancia in the next 2 years. The source includes the low sales volume that generate the Lancia Thema, Voyager and Flavia, as a good reason for a change in the strategy. These and other non-sense information make part of the usual rumours regarding Lancia and its future. Since it became part of the ‘global’ Lancia-Chrysler alliance, the controversy among fans and specialized press hasn’t stopped. Many of them reject the idea of a rebadged Lancia using Chrysler products. The situation gets worse when looking at these product’s sales in Europe. They are extremely rare cars to see in the streets (even in Italy). However, these cars are temporary products that Marchionne decided to bring to Europe to enlarge Lancia’s range and return to segments left by the group some years ago. The new Chrysler 200. It will be presented in Detroit 2014 and is expected to hit European roads using Lancia Flavia’s name, one year later, in Geneva 2015. Photo by: automotive.com, Chris Doane Automotive, Copyrights. Lancia had no other choice. The current European car market downturn affected Lancia’s sales, forcing the group to delay the development of new products. Then Chrysler brand appeared. I wrote it some months ago: the marriage with Chrysler saved Lancia from death. Now it makes part of an international brand with presence in many countries, and with a strong position in USA, the world’s second largest market. Now Lancia can benefit from a joint work and a promising future together. Based on current situation anyone would deny that. Yes, both brands’ range of products is somehow old. But better times will come, and the new Chrysler 200 is the best proof of that. 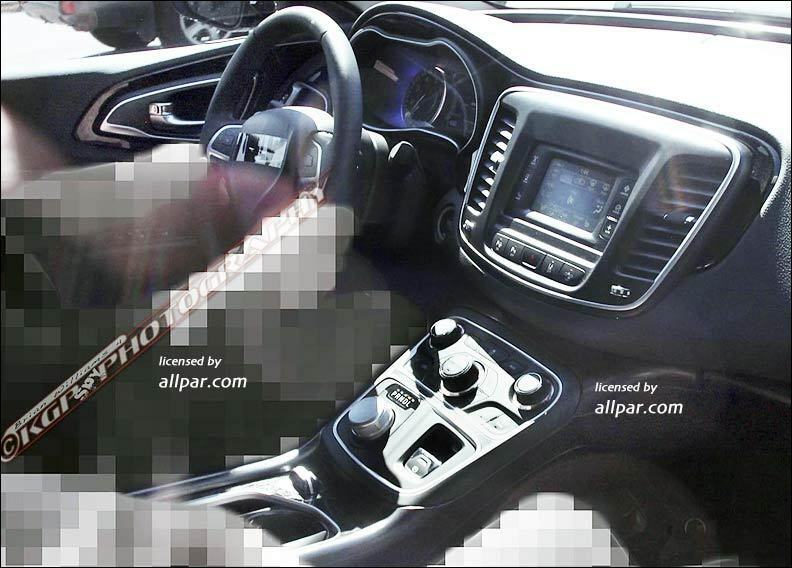 Chrysler has almost ready the successor of the 200 sedan and will present it at Detroit motor show in January 2014. 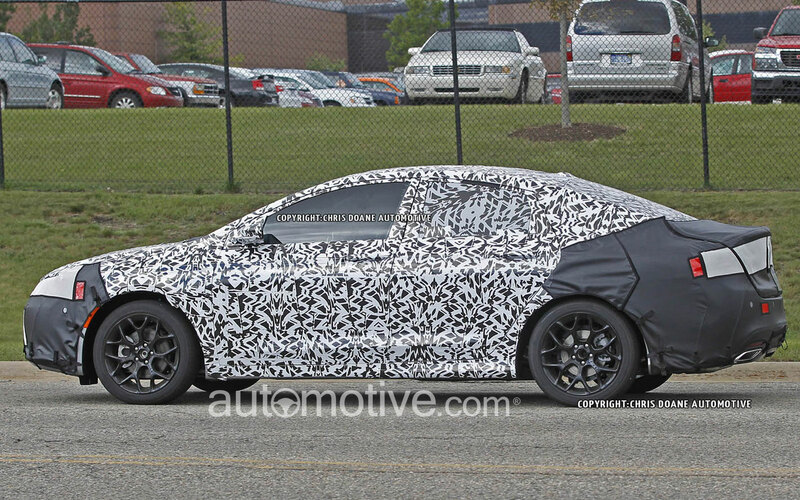 From the spy pictures it seems to be a very nice sedan with an awesome interior. This car was jointly developed by both brands and was conceived for both markets: USA and Europe. Then, it has Lancia’s DNA as well, and won’t be rebadged product. The new 200, which may be called Lancia Flavia in Europe, is my best reason to think that the marriage Lancia-Chrysler is for long. I’d be glad to see it in EU, but I am afraid a midsize sedan (actually near large for Europe’s standards) would have a too limited market being good even very good but just “not german” and with a brand of limited awareness. Likely its hatch version (probably named Chrysler 100) has more chance to be imported with the blue shield mark as new Delta, but I’ll be happy to see ’em both here. Most of Europe does not even know what Lancia is, or has a vague idea of some old rally car: there’s need of a long term strategy to explain what Lancia was and what it can be, and a wise step-by-step introduction of models, good marketing and communication. Hope Fiat has will and resource to do that, fortunately now there’s the USA marked which would allow to have volumes otherwise impossible for Lancia alone: this should limit the risk to invest on new models. At the moment, IMHO, a good model for Lancia would be a luxury-chic-stylish midsize SUV/Crossover based on the incoming 500X: I believe it may attract many customers where the brand still has some awareness (Italy, France, Belgium). But likely this market alone is not enough to justify the investment as long as it could not be sold in USA as Chrysler . Hi Juan, Is Lancia and Chrysler still be together, i mean Lancia will Just rebadge Chrysler cars with Lancia Logos forever ?? or This is just an Economy situation ??? I Wish and i wish lancia to creat its own Designs and own Engines,with out the rebadging of chryslers ! I hope Fiat will “revive” Lancia with some Real BullSh*t ! Do you think the Seat Exeo is original and different? what about the Golf/Leon/A3? Are they really different as you say? The Mii/Up/Citigo, are they ‘very different’ as you say? Even the VW Touareg and Porsche Cayenne are the same car. All car groups rebadge and share chasis among their brands. Styling-wise, I expect the Flavia will basically be a 200 with a Lancia grille. If the 200 styling is successful, that might not be so bad. why no lancia in other countries outside europe? ?like china,japan or india??? Lancia is sold in Japan, but badged as a Chrysler (unfortunately). The same as UK and Republic of Ireland. Once FIAPL (new distribution co in India) has it distribution network fully in place, Lancia could follow JEEP and Alfa into India and other markets. Lancia could be sold in Middle East and China where luxury sedans continue to do well. The Lancia – chrysler experiment has failed. It’s time for Lancia to revisit it’s roots, and develop products more true to its heritage, even if they are just warmed over fiat products to start. And allowing the new Stratos to succeed ( which FIAT and Ferrari recently squashed) would certainly inject some momentum into reviving Lancia’s true soul. No more simple rebadging as new Chrysler models are developed both by Americans and Italians. That means JOINT products, it’s totally different situation. What about future. It depends on financial situation of Fiat/Chrysler (they must have money to invest for independent Lancia products), also Fiat must complete Maserati, Alfa, Jeep and Fiat brands development plan. After all Fiat can think to differ Chrysler and Lancia plus deliver both products to other markets (Chrysler in Europe, Lancia in Asia etc). Then yes, present marriage will last but you never know what future will bring us. Especially after Marchionne era. 1. In an increasingly globalised economy thanks to the internet and globalised entertainment, regional brands are always going to be weak. If you go to the cinema and see an American film with an Audi in it, it will be an Audi regionally too. If you go to the cinema and see a Chrysler in the film it may be badged a Lancia locally. Whatever the truth of who engineered the car it will look badge engineered and you lose most of the benefit of the cars appearance in the film. 2. To reinvent the Lancia properly would require similar sums of money to what is (hopefully) being spent on Alfa Romeo. Fiat are struggling to fund that, and for Fiat’s purposes Alfa and Maserati can cover the segments that Lancia should fill, so in a logical sense at least it is not worth the trouble and risk. The success of the Fiat and Abarth 500 cars means the Ypsilon is also not entirely needed. I would love to see modern equivalents of the Delta, Monte Carlo, Stratos and Fulvia to challenge Audi. However Alfa is to play this role and probably has more potential to succeed globally, and it is a gamble that will require huge investment. Therefore I suspect that if the rejuvination of Alfa Romeo is a success then Lancia will eventually be dropped and the Chrysler brand will be used in all markets for these cars. If Alfa was sold however, there may be an opportunity for Lancia to take its place, although an enlarged Maserati range might also end up destroying such a plan. It’s so easy to kill the brand. On the other hand good brand portfolio can be huge advantage over competition. Cars sharing same platforms, engines but different design and DNA. Both Lancia and Chrysler should finally be international brands, someday. You talk much about Audi. Pls remember VAG tried to buy Alfa so many times. Why ? In yr words it makes no sense, they have Audi already. But VAG is smart, they know Alfa + Audi is better than Audi. Same here, okay we have Alfa + Chrysler but Alfa + Chrysler + Lancia give more possibilities. VAG offer the same A segment car under 3 brands (WV, Seat, Skoda) with small design changes. Why ? They know it counts for better sales results. And if you have technically the same Chrysler and Lancia but different body shape for both cars ? The same story, Fiat/Chrysler will sell more cars. And Lancia can be positioned higher than Chrysler (but below Alfa) and can be sold in Asia and even USA when only Fiaf + Alfa brands reach their goals. Just another opportunity to enlarge portfolio and sales numbers. And even with regional brands, we have example of Opel and Buick. GM will not kill any of them. Again, it’s so easy to kill the brand but don’t do it too early. Especially if you have brand like Lancia with great history. It’s not Hyundai. As unlikely as it sounds, selling Alfa would give FIAT desperately needed cash, and make room for Lancia to be resurrected. The Lancia brand has lost it’s cache and it would take decades to rebuild it, but it could never touch the brand equity of Alfa Romeo. I’m concerned, unless Alfa gets new product soon it may follow Lancia’s path to demise. I agree that Lancia shouldn’t be killed too early, but it needs right looking products to start, not randomly rebadged Chryslers where they don’t even have distinct Lancia grilles (unlike Opel-Buick). This relationship cannot be compared to Opel-Buick since Lancia’s lost the engineering prowess it was famous for years ago. Opel offers Buick highly engineered product it doesn’t have; Lancia however offers Chrysler nothing, and Chrysler offers Lancia only the product it’s got. And globalization kills all this false badge engineering, since everyone recognizes these cars as Chryslers. The rebadge is more common than what you think. At the end all car makers do it. The problem is that Lancia is not the same brand it used to be 30 years ago. Times have changed and there is no room for the Rally-brand that captured the attention of many people. Alfa Romeo took the sporty place in Fiat Group. There is a big difference between a simple rebadge (such as Chrysler/Lancia, or Chevrolet/GMC, or older Ford/Mercury) and building different products on a shared architecture (such as Golf, Eos, Octavia, A3, TT, Leon etc, for example). In the second case the designs and characteristics are tailored to the brand and the market, in the first it’s just a different badge and one-size-fits-all. The Chrysler-Lancia is a simple rebadge; the Giulietta and Dart are different cars on a shared platform. Hi Juan, i could be “Mr,Questions” hhh, but i m really a fan of Fiat, i want to ask you about the new news from Cnh industial, i read a Reuters article today about Cnh Industial to be based in Netherlands, and to have it shares from New york,So, is Cnh industrial (Fiat industrial) really will be based on Netherlands? and what about Headquarters in Turin, they close ??? also are they have shares from Milan and New york, or just from New York ??? Please answer me ! And Thank you very very much . Hey Juan, do you know anything about Fiat reviving the Autobianchi brand? I think it would be a good competitor to Renault’s Dacia. No information about it. I don’t think it will happen, at least for the next 5 years. Fiat needs to solve the problems it has with Lancia and Alfa Romeo before creating another brand. Maybe it could work, only if they position Fiat in a higher level, but it would be hard right now. 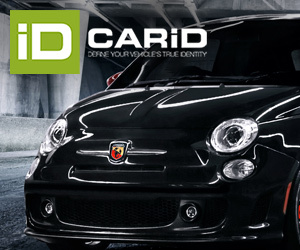 People recognize Fiat as the brand of cheap and small cars. It has become only a blue badge used to rebrand american Chrysler’s in continental Europe. I think Fiat has it backwards, Chrysler should be just a badge to rebrand Italian Lancia’s in North America. How many Lancia’s are today built in Italy? Only the “soon disconnected” Delta. So where is the Made in Italy? In Brampton? or in Sterling Heights? Think of Saab, Pontiac, Oldsmobile, Rover, and many others. Lancia is still alive, with so many problems, but the brand is available now. Heritage is a big part of a brand, but it is not all. Lancia could not survive depending on its fans only. It needs global products. So why not sell directly to the Lancia brand? It does not cost as Alfa Romeo, and has a history and tradition not less than Alfa Romeo, because Volkswagen not think to buy this brand? After all, the name of the Audi Quattro is dedicated to the Lancia Rally to beating the Audi rally and then respected.